You will receive a Research Bibliography and Recommended Resources to continue your knowledge transformation. 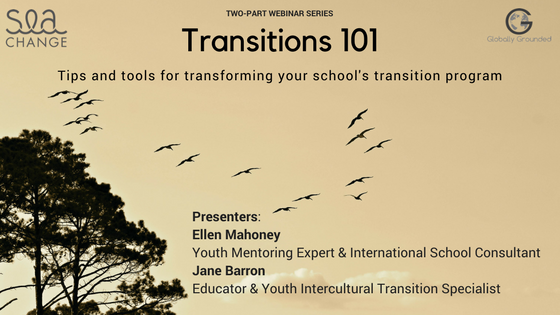 Jane Barron (BA Dip Ed, MEd) - Founder of Globally Grounded, youth intercultural transition specialist and culturally responsive educator, writer, speaker and consultant to local and international schools. Driven to improve emotional, social and educational outcomes for cross-cultural learners, Jane equips schools to support and empower culturally diverse learners, their parents and those who educate them. A Safe Passage Across Networks (SPAN) steering committee member and 2017 Parfitt Pascoe Writing Residency Scholar, Jane’s writing has been published in International Teacher Magazine, International School Magazine and The International Educator. Registration closes November 17 so book now as places are limited. The Virtual Midwife is an online platform supporting pregnant expats and travellers. The program is packed with essential tools, tips and techniques that address the specific needs and challenges of giving birth far from the comfort and safety of home. The Virtual Midwife has been supporting families around the globe for over a decade, providing support and a comprehensive guide to help you navigate a foreign health care system. Whether you choose to stay in your host country, or return home, you will be faced with many choices and decisions about your care during pregnancy and birth. Powerful in its simplicity, this multimedia course and thriving online community is is packed with high-quality video, audio downloads and eBooks to make your pregnancy journey abroad safe and enjoyable. The Virtual Midwife was established by an expat midwife who understands the unique challenges of life outside of your comfort zone. FIGT member, Karen Wilmot, is a midwife on a mission to address the Internet as part of the larger health communication system, and restore normality to childbirth through effective online education. An adventurer, traveller and entrepreneur, she is based in the Middle East where she continues to find new and challenging ways to improve health care for women during pregnancy and birth. In this 3rd edition of the ground-breaking, global classic, Ruth E. Van Reken and Michael V. Pollock, son of the late original coauthor, David C. Pollock, have significantly updated what is widely recognized as “The TCK bible.” Emphasis is placed on the modern TCK and addressing the impact of technology, cultural complexity, diversity, inclusion, and transitions. 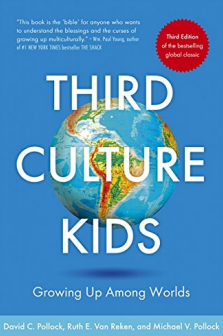 Third Culture Kids, 3e, includes new advice for parents and others for how to support TCKs as they navigate work, relationships, social settings, and their own personal development. 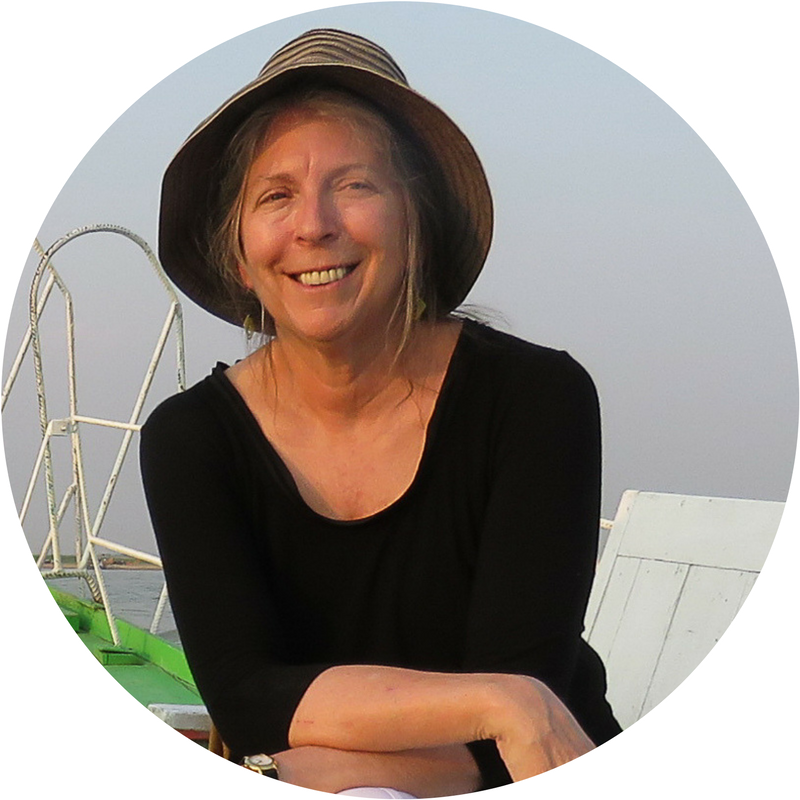 Ruth E. Van Reken, herself an adult TCK and a parent and grandparent of TCKs, is co-founder of Families in Global Transition, a forum for globally mobile individuals, families, and those working with them, and the author of one of the first books written about the TCK experience, Letters Never Sent. Michael V. Pollock is an adult TCK, parent of TCKs, and international school educator. He is also the founder of Daraja, an organization which helps TCKs/CCKs make successful reentries to passport countries and a past Board Member of FIGT. David C. Pollock worked with TCKs and adult TCKs for more than twenty years and logged thousands of miles conducting seminars and conferences (including FIGT) for TCKs, their parents, and sponsoring organizations. Buy this book through the FIGT Online Bookstore to support our David C Pollock Scholarship program, at no cost to you! Young and old benefit from outdoor activities done with cooperation and intent. Team building provides the groundwork where individuals come to know themselves as part of a bigger picture, a 'greater good'. Sometimes, the family may need a break from each other to work on their own to understand better themselves and where they are headed in life, their relationships, their addictions. Other times, the school needs a break from the student perhaps, to allow the student to gather his or her thoughts, gain better perspective and focus, increase self confidence and balance temperament. I have spent a great part of my career as an international psychologist helping guide expats in life changing circumstances. 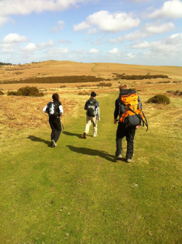 As an ATCK myself, I can tell you that there are fantastic resources available out there for expat families who are looking for answers, who are open to solutions such as outdoor or wilderness treatment. I was a 'guest' last week (July 31, 2017) to speak on this particular topic of Wilderness treatment on LA's Talk Radio. Care to listen to the conversation? "Survive and Thrive: The International Student's Guide to Succeeding in the U.S." by Tina Quick is a guide book that helps international students understand what they can expect to feel and experience in the transition and how to negotiate academic, social, and cultural differences. Quick addresses the most common challenges international students face in their transition to the U.S. for high school and/or university and gives them tools and strategies they can use not only to survive but to thrive in the adjustment. Grounded in sound research and best practice, "Survive and Thrive" fills the gap in existing literature and gives a realistic depiction of what to expect when transitioning to a new culture. Until now there has been no comprehensive work that covered everything international students needed to know to help them transition well and thrive in their new setting, and nothing about the unavoidable social-emotional issues involved in such an enormous adjustment. "Much of the explosion in global interest in attending schools and colleges in the States results from successful recruitment and applications. Yet, until now, few have focused on the more critical part of the equation: how to ensure that these international students grow, engage, and thrive academically, socially, and culturally once they arrive on campus. 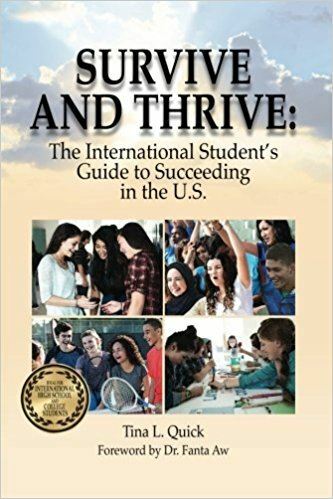 'Survive and Thrive: The International Student's Guide to Succeeding in the U.S.' takes that need head-on with advice that melds theoretical, philosophical, and practical in a way that will help every student seeking exposure to the American educational system." Mark H. Sklarow, Chief Executive Officer, Independent Educational Consultants Association. 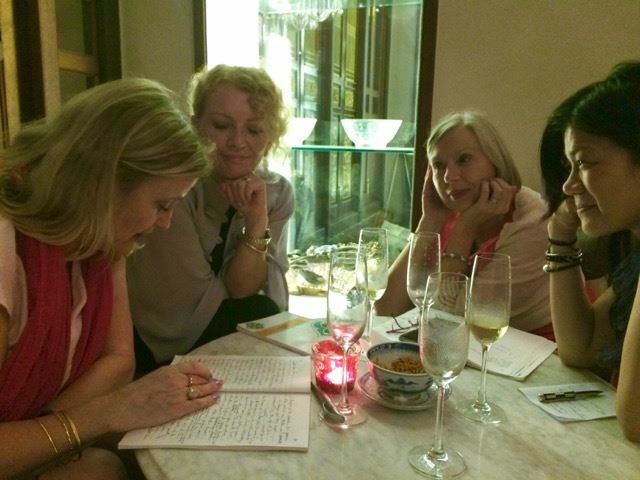 Submitted by FIGT Member, Tina Quick, a cross-cultural trainer and international speaker. Tina is the founder of International Family Transitions. Her latest book is available on Amazon.com. Badly thought - through relocation decisions, unrealistic expectations, poor preparation, inadequate organizational support, cultural adjustment challenges plus political and economic changes can all lead to disappointing outcomes not only for employees, but also for their families and organizations. 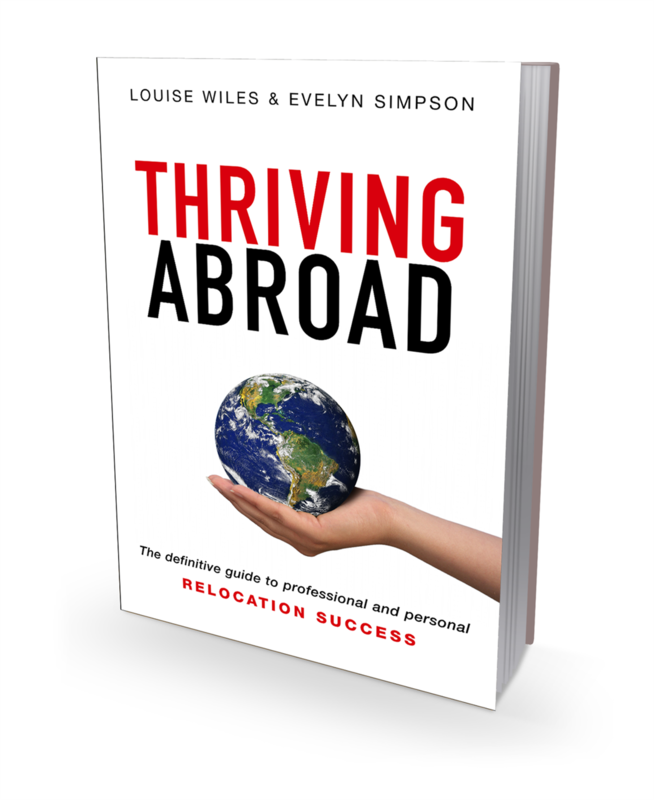 Thriving Abroad provides a framework, together with insight and advice from those who’ve been there, to help assignees and their families make the most of the opportunity for international relocation to create positive professional and personal outcomes. And that in turn ensures the organization maximizes its return on investment. Submitted by FIGT member Louise Wiles, Director of Thriving Abroad.com, a website based online community designed to support companies /organisations accompanying/expat partners as they move abroad. I had a great pleasure to meet Claudia Landini at FIGT conference last month in the Hague. Impressed by her international experience and multiple projects I interviewed her for my The Expat Career and Lifestyle podcast. We spoke about How to craft your expat professional identity by creating a portable career. 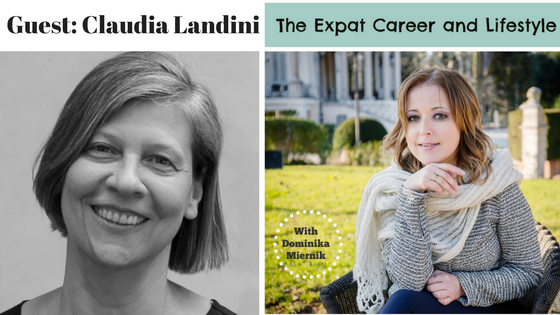 Guest: Claudia Landini, a Cross-Cultural Trainer and Mobile Career Coach. Over 27 years of her international life she lived between Africa, Latin America, the Middle East and Europe and now she is based in Jakarta. Claudia is the founder of Expatclic.com, a non-profit organisation that helps expat women all over the world before, during and after their relocations. 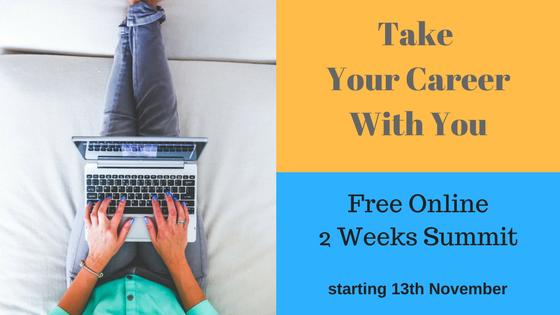 Host: Dominika Miernik is a Career Coach & Business Idea Generator for women. 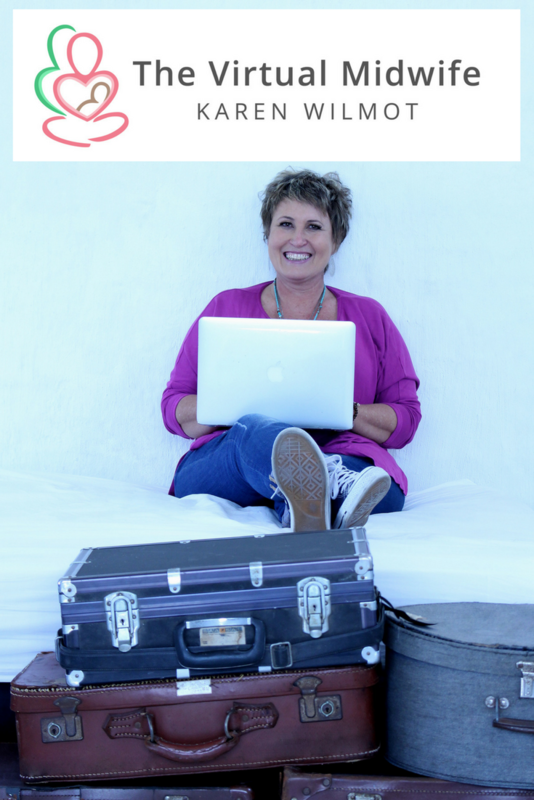 She has lived in Manchester, London, Milan and Rome, and she now helps expat women to pursue their true passions as they adapt to the living in a new country. In 2015 she was named the best International Coach by The Coaching Academy.